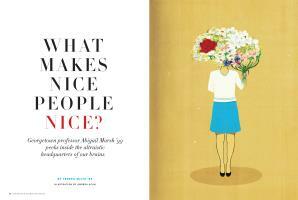 What Makes Nice People Nice? Georgetown professor Abigail Marsh ’99 peeks inside the altruistic headquarters of our brains. 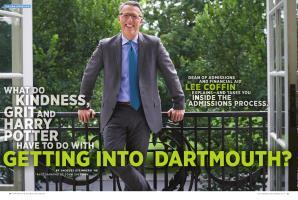 The dean of admissions and financial aid takes you inside the admissions process. He shoots. He scores! But only once. Dartmouth’s living-learning communities (LLCs) hosted free hot air balloon rides on the Green on Saturday, September 16, to raise awareness of their 24 programs. Even though the airships remained tethered and never rose higher than Baker Tower, more than 400 students hopped aboard for an uplifting experience. Baruch College president Mitchell Wallerstein ’71 offers hope for the disadvantaged. 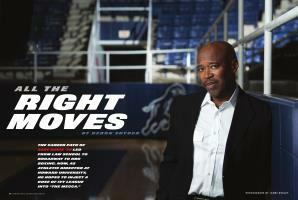 Photographer Nils Ericson ’00 brings an artistic sensibility to commercial projects.